Telephone Service Provider Directory - Telephone Services and Telecom Service Directory. 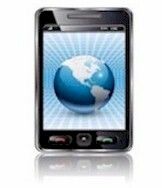 Are you looking for a telephone service provider? Cox Business Services is the business-to-business division of Cox Communications, Inc., the third largest cable provider in the nation and twelfth largest telephone company with more than six million customers. Cox Business Services is a facilities-based provider of advanced voice, data and video products and services to more than 100,000 business customers in industries ranging from healthcare and hospitality to government and education. The backbone of our capability as a communications provider is our self-owned and self-maintained nationwide IP network. Thousands of miles of fiber-optic cable make up the Cox system, designed with self-healing, fault-tolerant SONET architecture for enhanced dependability. And with our state-of-the-art Network Operations Centers monitoring the Cox network on a 24/7 basis, you�re assured of consistent, reliable voice, data and video services for your business when you need them most. Services include traditional local voice and Voice-over-IP services, long distance, high-bandwidth connectivity services, e-services, managed network services, security/business continuity solutions and remote access services. Solutions, services and customer support offered by SBC companies are tailored to meet the differing needs of small, medium and large businesses and for the specialized communications requirements of the government, education and the medical industry. 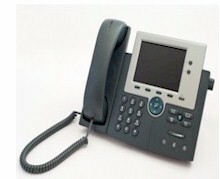 These telephone systems can connect calls to employees who are working at home or in a local or remote offices. Our intelligent phone systems communicate with applications written on Unix, Linux, or PC servers over a LAN.